If you have a seasonal allergy, it’s vital that you know which season triggers your symptoms. Some people have spring allergies because of the blooms and tree pollen. Some have summer allergies. Others are specific to the fall. If you know when your symptoms are worst, you can be prepared. Most of the time, if you start allergy medications a week or two before your season kicks in, you tend to do better. For example, if there’s something that blooms at the end of May that typically affects you, start your allergy medicine in mid-May to help you get ahead of it. If you’re traveling to a place where the seasons change earlier, take your medication earlier as well. For both prescription and over-the-counter medicines, especially the nasal sprays, the full effect takes one to two weeks. Medications like Claritin or Benadryl will work right away, but if you’re stuffy and congested enough to take them, you’re already miserable. So don’t wait until you get to that point – start early. Unfortunately, telling the difference between a cold and an allergy is often guess work. If you run a fever, it’s not an allergy. If you blow your nose and it’s clear, usually that’s an allergy. Body aches and stomach symptoms are usually viral. Allergies tend to cause sinus congestion, runny nose and itchy, watery eyes. If every May you come down with the same symptoms, it’s probably a seasonal spring allergy. The diificulty with seasonal allergies is that the triggers are outside, mostly tree pollen and grass, which are very hard to avoid. If you need to do yard work, invest in a mask with a filter, like those that construction workers wear. That will cut down on your exposure and will keep you a little less symptomatic. Inside the house, for severe allergy sufferers, a good air filter will help — if you have a forced air system in your house. If you don’t, dusting regularly and keeping window screens clean is a good idea. Use a fan to circulate air, but make sure to keep the blades clean. When it comes to laundry, avoid fabric softener with flowery scents. It’s also best to avoid drying your laundry on a line outdoors. Using the dryer will minimize the pollen that can accumulate on your clothes. Some allergy sufferers have benefited from regular consumption of local honey. 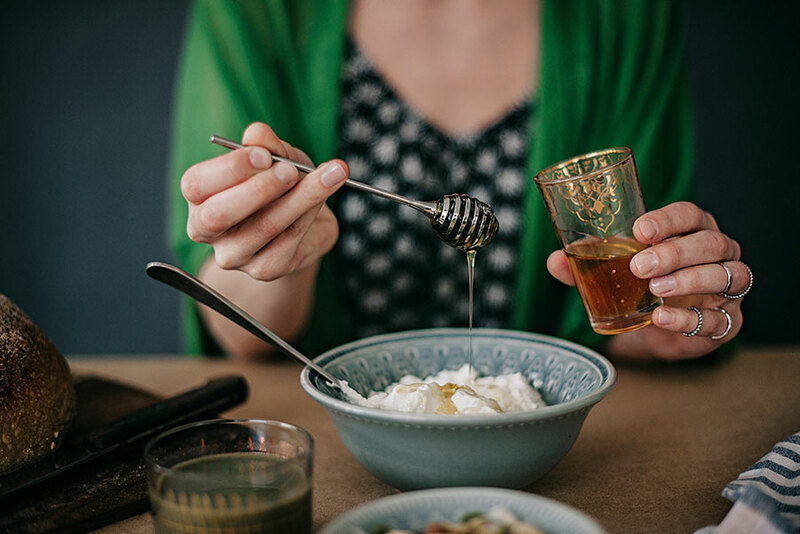 The idea is that local honey is harvested from local bees feeding on local flowers — so if you eat local honey, you can essentially inoculate yourself, ingesting a little bit of local pollen each time. It’s like having mini-allergy shots, allowing you to build up a tolerance by exposure. The honey has to be truly local. For residents near Newport Hospital, that means produced on Aquidneck Island – not in Vermont. You can look at local farmer’s markets for direct producers. And, remember, honey is not recommended for children under age two. Nasal sprays, such as Flonase and Nasacort, are effective, available over the counter, and safe for most patients, although you should always review the warning labels. The most effective antihistamine out there is Benadryl, but it’s highly sedating, and only lasts four to six hours. Claritin, Zyrtec and Allegra can all last up to 24 hours, and are considered non-drowsy. Remember that store-brand generics are perfectly fine to use instead of the name-brand medications and are more affordable. Managing your allergies will help you better enjoy the beautiful spring season. Dr. Kristin Fielding is a family practitioner with Lifespan Physician Group Primary Care, Tiverton at 711 Main Road.